Day 2! All week long, we’ll be handing out fabulous Tegra 3 powered devices to the DL community in our “Week of Holiday Tegra” event, thanks to our friends at NVIDIA. They put up a massive amount of prizes, all of which take advantage of the gaming potential that their Tegra 3 processor contains. Been to the Tegra Zone lately? If there is one mobile company that is doing everything in their power to push mobile gaming forward, it’s NVIDIA. Yesterday, we gave away three Nexus 7 tablets in a mega-contest that saw well over 2000 entries. Today, we’re giving away just one prize, but it’s quite the bundle. 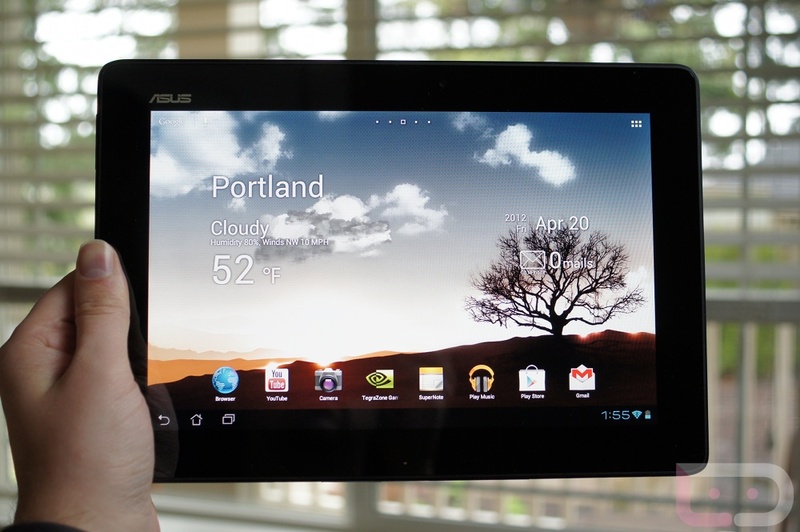 How does an Asus Transformer Pad (TF300) with keyboard dock and Logitech gaming controller sound? Update: And our winner is…Kevin, who has a diversified tech setup, with products from LG, Sony, Samsung, and JVC. Prize: 1 (one) Asus TF300 Transformer Pad with keyboard dock and Logitech controller. 1. ”Like” the NVIDIA Tegra Facebook page or follow @NVIDIATegra on Twitter. 2. ”Like” the Droid Life Facebook page or follow @droid_life on Twitter. 3. In the comments, describe your tech setup (phones you own, tablets, computers, gaming systems, TVs, etc.). Today, at 4PM Pacific, we’ll randomly choose the winner from the comments. US (excluding Puerto Rico and its other territories and possessions), Canada, United Kingdom, Germany, Netherlands, Switzerland, Austria, Norway, Finland, Czech Republic, Australia, China (excluding Hong Kong and Macau), Taiwan, Japan, South Korea, India (excluding the State of Tamil Nadu), and Brazil.